Children should avoid screen time for at least an hour before bedtime and parents should lead by example, according to new guidelines. 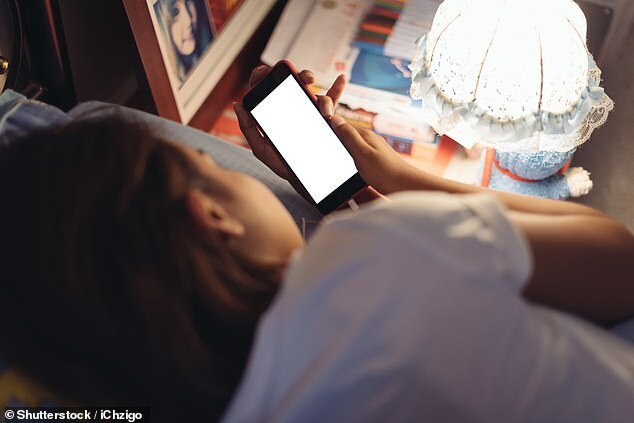 The Royal College of Paediatrics and Child Health (RCPCH) says parents must ensure youngsters are not spending too long on smartphones, tablets or watching television, which can disturb sleep patterns and have knock-on effects. In a UK first, the college has published guidance designed to help parents manage their children’s screen time. Following a major review, they acknowledge that high levels of screen time are linked to a less healthy diet, a sedentary lifestyle and poorer mental health. But experts said there was little evidence that screen time is directly ‘toxic’ to health. They stopped short of setting recommended time limits, saying there is insufficient evidence that screen time in itself is harmful to child health at any age. Instead, parents should judge whether screen time in their household is controlled or if it interferes with family life, sleep or meal times. Dr Max Davie, a health officer at the RCPCH, said that children learn ‘from example rather than instruction’. They suggested that parents should approach screen time based on the child’s developmental age, the individual need and value the family place on positive activities such as socialising, exercise and sleep. When screen time displaces these activities, the evidence suggests there is a risk to child wellbeing, they said. Professor Russell Viner, president of the RCPCH, said there was conflicting evidence about whether children should be set a daily threshold. Technology such as tablets and apps are increasingly used as educational tools, which is widely beneficial and would blur the lines if children were suggested limits, he said. 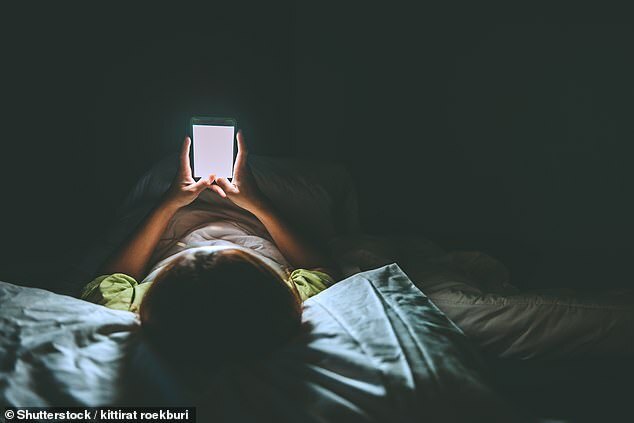 But there is compelling evidence that screen time can negatively impact on children’s sleep, with insufficient sleep known to be damaging to their health. He said: ‘There is evidence that strong light into the brain before bedtime reduces the secretion of melatonin, and therefore it can be more difficult to get to sleep.’ Stopping use an hour before bedtime was therefore ‘sensible advice’, he added. The review findings are likely to be considered by the country’s Chief Medical Officer. Dame Sally Davies is undertaking a review of the impact of technology on children’s health, and whether to set guidance on healthy screen time. But Professor Stephen Scott, Director of the National Academy for Parenting Research at King’s College London, said the RCPCH recommendations do not go far enough. He said: ‘The parent guidelines are sensible insofar as they go, but do not distinguish between different types of screen time.